Here’s some visual splendor chock full of the insta-greatness we have all been waiting for. The following photos were taken between 7/29 and 8/7. We had to walk 20 miles along the long, hot, flat Los Angeles aqueduct. We planned on night hiking it, but after a 23 mile day we called it quits around sunset and tucked our tent into a grove of joshua trees. Love when the light casts through the trees at the end of the day. Feels right. Laters California, it's been real ??? less than 1000 miles to go ? There were a few times in the last 300 miles or so that I suddenly felt like I was back on the Appalachian Trail again. It was not only the lush green undergrowth that did it, but the warm humid air as well. This segment in Lassen Volcanic NP was one of those times. And another post that used only photos that all have #pacificcresttrials! We’re stoked the following is able to fill these posts! 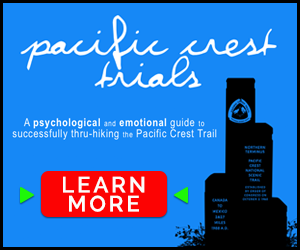 Remember to use #pacficcrestrials, #pct2016, and #pacificcresttrail to be featured!